According to the Associated Press, the two bombs that were discovered in the cargo sections of passenger planes were wired to cell phones and hidden in computer printer cartridges. 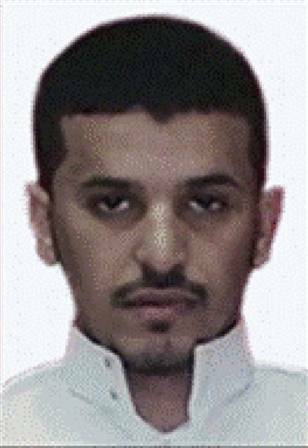 They are believed to have been made by al-Qaida bomb expert Ibrahim Hassan al-Asiri. The plan was for the packages to go from Yemen to the United States, via various other international stops, and it is unknown where/when they were to be detonated. One of the bombs was found in Dubai and had flown on two airplanes before it was discovered. Both were commercial flights with at least a 144-passenger capacity. The other bomb was found at East Midlands airport in England and had gone undetected for several hours. British Home Secretary, Theresa May, said the bomb on the plane that landed in England had enough explosives in it to take the plane down. The suspected bomb maker in this case is also believed to be responsible for the attempted Christmas bombing in Detroit. That bomb was four times smaller than the ones that came from Yemen this time, and investigators say that, that mission might have been a dry run for this attempted attack. The packages were on route to Chicago and were addressed to Chicago-area synagogues and bore the names of historical figures known for their persecution of Muslims. The U.S. Department of Homeland Security has stopped all cargo shipments from Yemen. MOMism: ”Diffuse the situation.” Now that the bombs have been diffused, how do we diffuse the situation? Terrorism is a constant threat to our security. There are complicated circuits working against us all the time. We know this. We do prevent a lot of explosive situations, but we react to a lot, too..thank heavens, most of the time, it doesn’t blow up in our faces. The way to diffuse the anger of the terrorists and toward the terrorists is not a sinchy deal. But, what is clear is that the task of diffusing the situation lies with us. Their goal is chaos and confusion by lighting the fuse and watching us scramble against the hypothetical clock. We need to maintain calm and be level headed to outsmart and anticipate danger. We cannot over-react or under-react. We cannot cross live wires or cut the wrong ones. Yes, we need to figure out how to contain dangerous extremists and disable plots against us, but we cannot let the pressure impair our sound judgement, or we will detonate ourselves and implode – not explode. This is where is am truly "right wing" we are WAY TOO soft on terrorists and their home countries, in general. It is a fact that countries like Venezuela, Iran and Syria fund terrorism and sadly too many Islamic businesses and "charities" do the same. I know that they (the Islamic people) do not want to be singled out but as long as the predominant threat to our way of FREE LIVING is being threatened by their fellow Muslims then they will have to HELP US so that we can ALL be free!!!!!!! Hi Noelle – I think we all go a little "right wing" when it comes to terrorism. We need to be on our game at all times…not warm and fuzzy, but realistic, principled and intuitive. My only request is that our leaders (military, civilian, super secret stealthy guys) outwit, outsmart and outlast the terrorists – yes, just like Survivor! Unfortunately, the terrorists are thinking long-term and we all are thinking short-term…and that scares me. If we compromise the freedoms of our country, then we all lose in the long run. We are always on the same page!!! This is WAR to them- a war til the death; the death of freedom, of women's rights of gay rights and most importantly the death of ANYONE who believes in another relgion (or not). We say we are not at war with any "specific" country or group of people, BUT these MUSLIM extreamists have made it VERY clear that they are at war with us! I was seriously just thinking the same thing. Leave it to the MAMAS,we KNOW what to do!!!! Yep – that's why I love this site. Finally, we can talk about something other than getting our kids to sleep through the night…but, can use those skills to talk about the bigger issues. Brilliant. Now, what to do with all this mommy brainpower?! I could not agree more…it's a very "American" problem, our need for instant gratification and lack of long-range planning. The public can't stomach a sustained effort and this might just be the thing that does our country in!